It’s easier than you think to start your day with homemade porridge (no, really! ), and your entire family will enjoy this apple and cinnamon porridge! 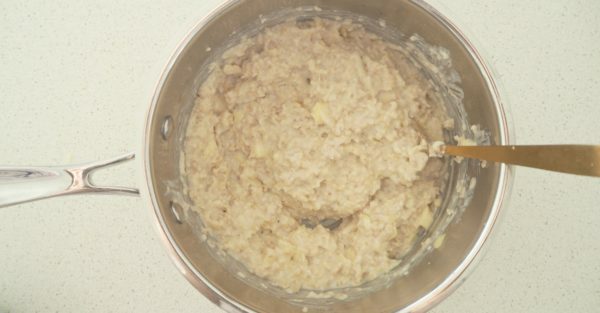 This recipe makes enough porridge to serve two adults and two children. If you are wanting to make an individual serve for yourself or a couple of the kids, then simply halve the ingredients. 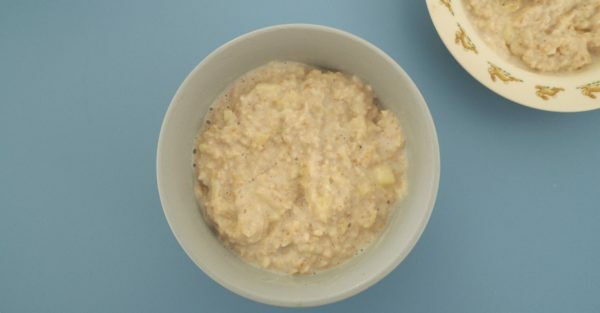 The grated apple helps to sweeten this porridge (which the kids will love!). However, if you are looking for an extra sweet start to the day, try drizzling a little golden syrup over the top just before serving. Step 2. 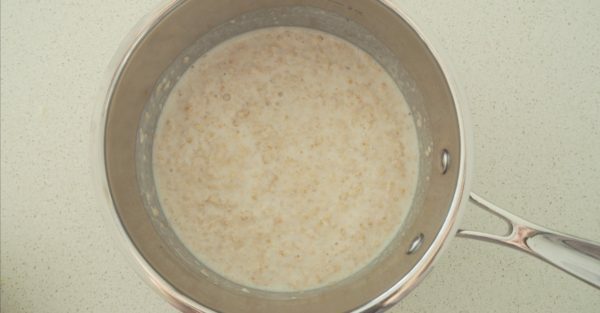 Place the oats and milk into a medium saucepan and cook over a medium heat for approximately 3 – 4 minutes or until it begins to thicken and is smooth and creamy. Step 3. Add the grated apple and cinnamon and stir through to combine before cooking for a further 1 – 2 minutes. Step 4. Divide the porridge between 4 serving bowls and serve.